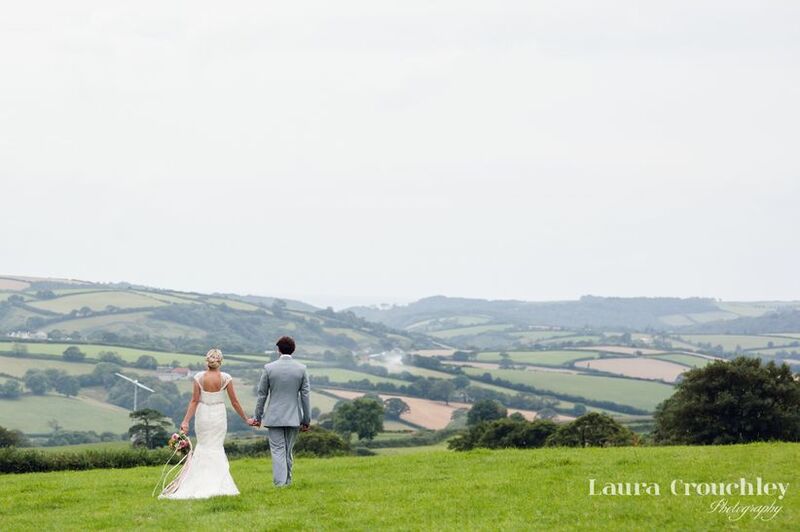 7 Gorgeous Barn Wedding Venues in Devon | Wedding Tips ARE YOU A SUPPLIER? Dreaming of hosting a rustic-chic celebration? Here are a few of our favourite barn wedding venues in Devon that’ll fit the bill. 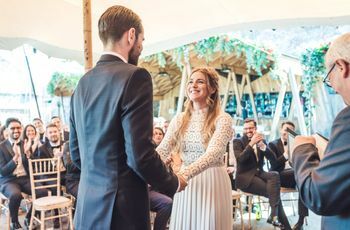 If you’re in the market for a barn wedding venue in Devon to plan a rustic wedding complete with shabby chic decor, DIY baubles and fairy lights, then you’re in luck. From massive wooden barns, to more unique options, like a Donkey Sanctuary, there’s no shortage of places to choose from in this county. 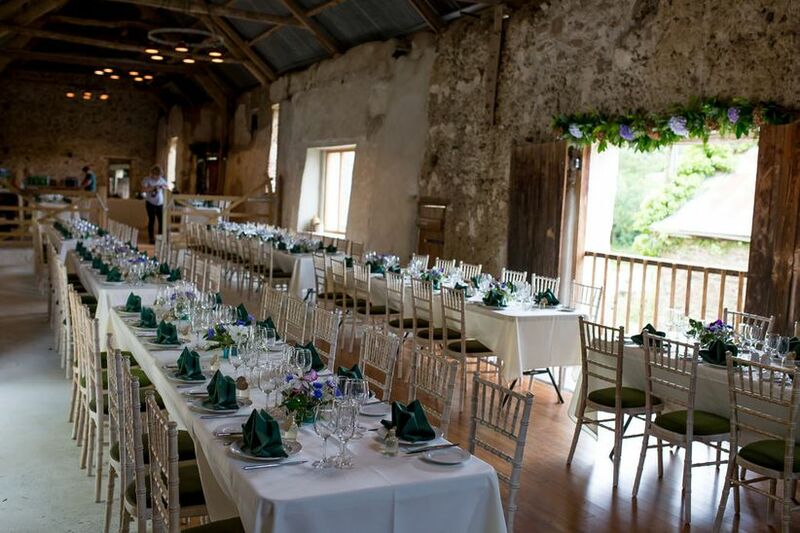 Here are a few gorgeous barn wedding venues in Devon. Upton Barn & Walled Garden has not one, but two unique barn wedding venues in Devon that you can use for your celebration. Its Cider Barn is a traditional cob barn that can be the backdrop for your ceremony and reception (it can seat up to 156 guests). Your second option is the Stable Barn which was - you guessed it - formerly a stable (though it’s been completely remodelled). It also has enough space to seat 156 guests and can be used for receptions. River Cottage is first and foremost a cookery school, but it has a lot more to offer than tasty eats - it’s also a stunning barn wedding venue in Devon. 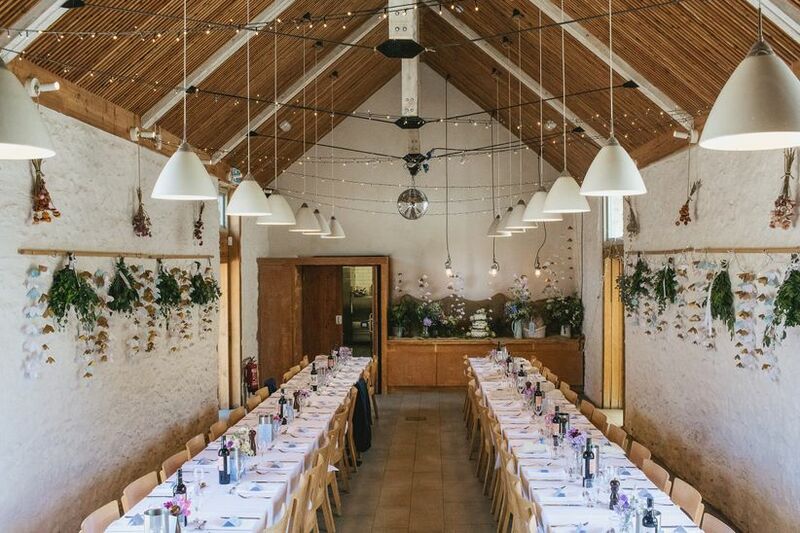 Its threshing barn has been refurbished and now features crisp white walls, a cathedral ceiling with exposed beam work, modern light fixtures and enough room for 100 of your nearest and dearest. 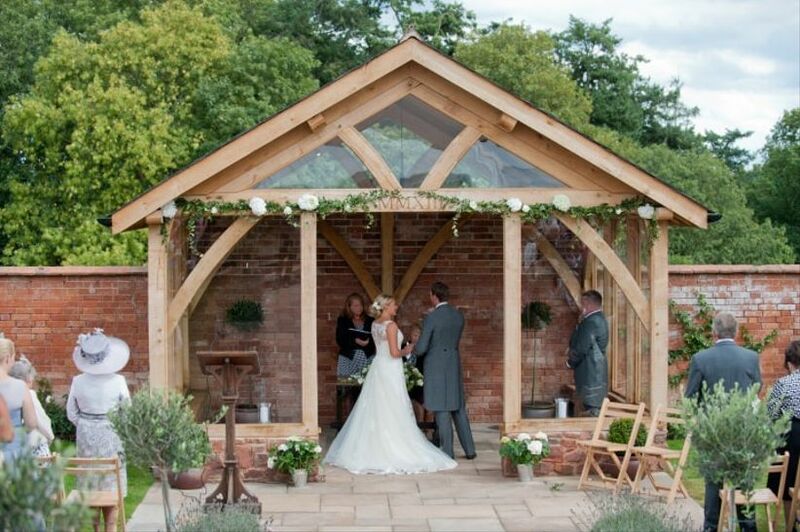 Its licensed for ceremonies and can be the setting for your wedding breakfast, as well. 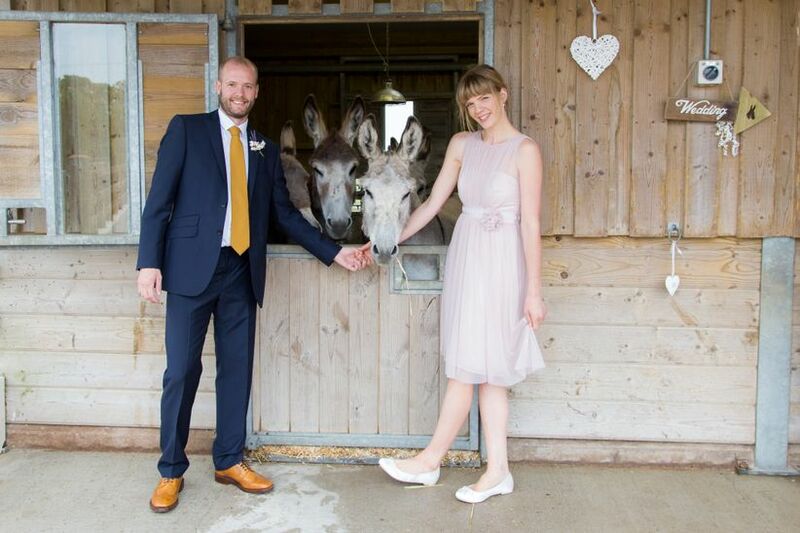 If you’re on the lookout for a more unique barn wedding venue in Devon, The Donkey Sanctuary might just be the one for you. 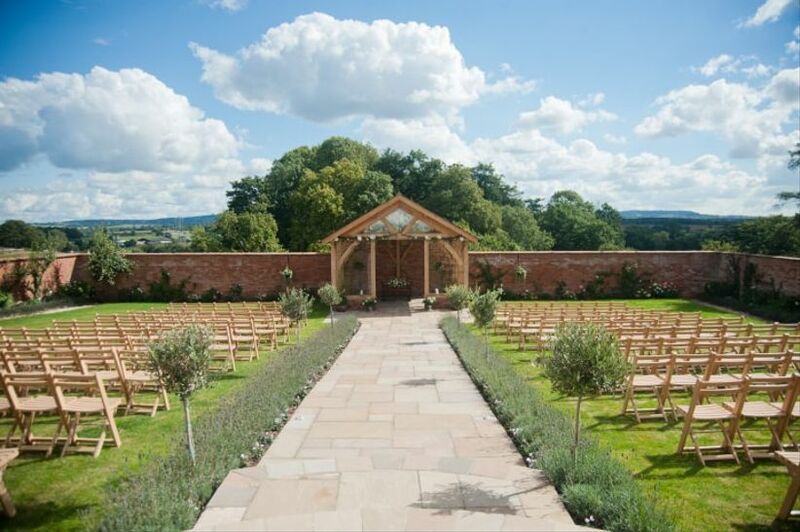 This Jurassic Coast spot is set in 260 acres of beautiful countryside and is ideal for rustic-chic events. You can tie the knot in its picturesque stables (they’re licensed for ceremonies) and make use of the great outdoors, too. Its capacity is 70 guests, so you’ll want to keep your guest list short and sweet. P.S. you’ll also be doing some good - the £s you use to book the venue will go toward helping donkeys and mules around the world. 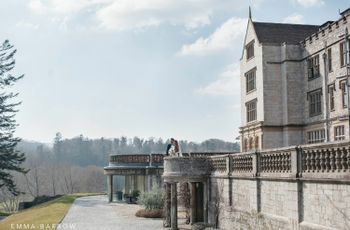 The Ashridge Great Barn is an eco-friendly wedding venue with some seriously photo-worthy surroundings. 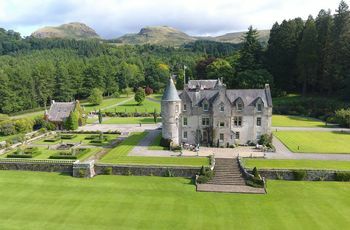 It’s tucked away in a valley and surrounded by woodlands and sprawling pastures, giving you plenty of space for an outdoor reception or ceremony (if that strikes your fancy). The barn itself is truly a chameleon space, meaning it’s pretty bare bones, so can be dressed to fit your unique wedding theme and colour scheme to a tee. It can fit up to 200 people, so you can get away with adding a few plus ones to your guest list. 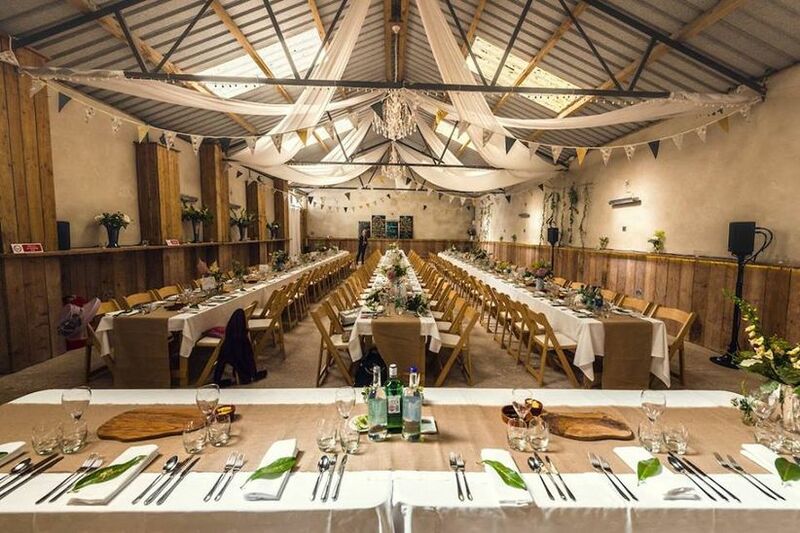 The Coombe Farm Trust, a 200-acre estate, is home to a stunning Cider Barn, complete with sky-high cathedral ceilings, exposed beam work, white walls and enough room for up to 100 guests. 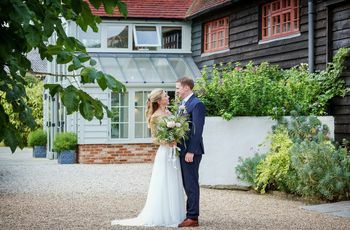 If you’d rather go for something a little different, there’s also the 500 year-old thatched Grade II listed Farmhouse on the property that can be used for ceremonies and receptions, as well. The Barn at Barons Hill Farm is more than just your average stable - it’s a newly restored agricultural barn with high ceilings, a private courtyard and countryside views. 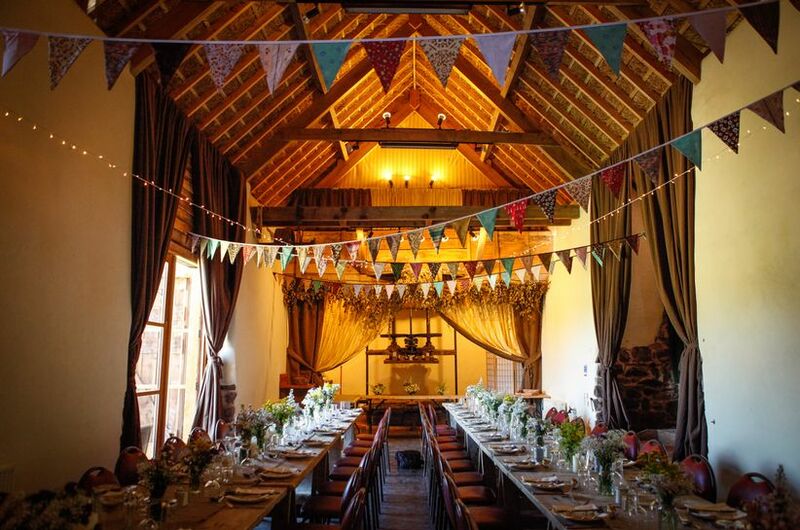 The beautiful rustic space is large enough to fit 120 seated guests, so it’s great for midsize to large weddings. If you need more room for your reception, you can set up a marquee outside and add another 40 to 50 guests. The barn wedding venue at Dunwell Farm is definitely more shabby than chic, but has plenty of wedding potential. It’s a 3-sided wooden structure that is equipped with a wooden archway and straw bale seating, perfect for your rustic ceremony. The space can be used for ceremonies, receptions or both and you can add a marquee if you’re on the hunt for something a bit more spacious. It can accommodate up to 150 guests.